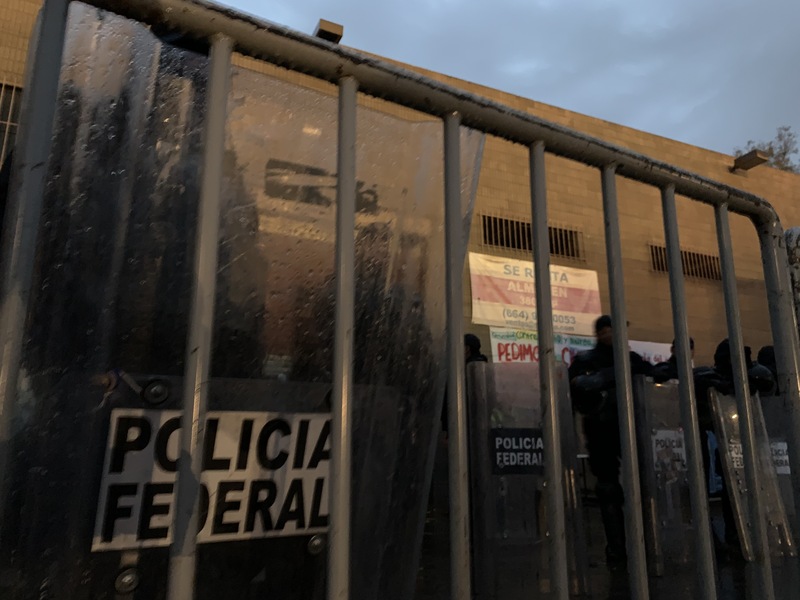 Today is forth day of the police eviction an alternate migrant shelter in Tijuana just down the block from the original shelter at the Benito Juarez Sports Center, where 7,000 people from a recent Honduran caravan were living for two months. 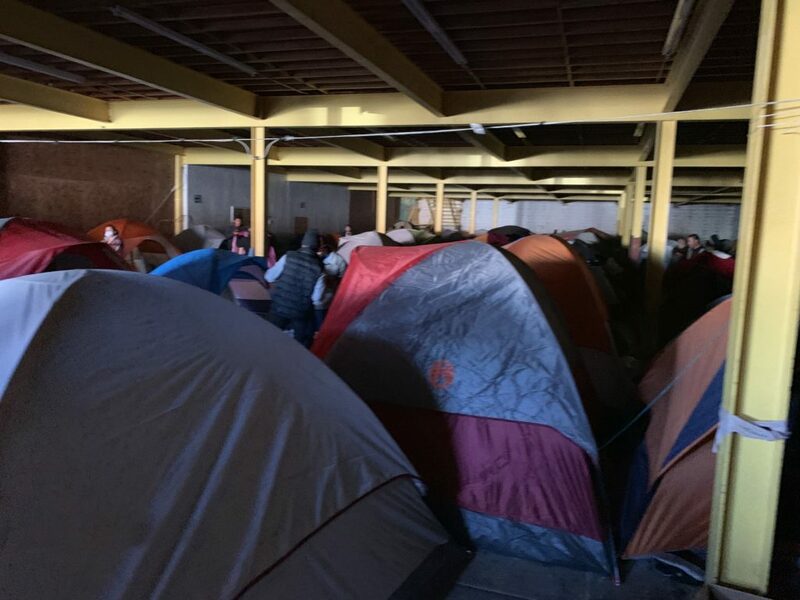 The shelter ultimately spilled into the street when it was filled beyond capacity. Shortly after, the Benito Juarez Center was closed when rain deluged the entire space, now over a month ago. 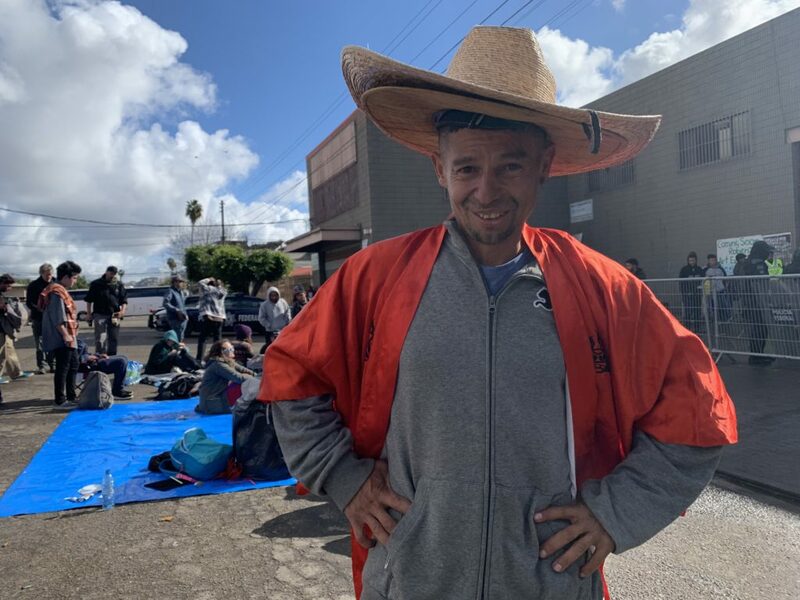 People moved into the street to clean up inside, but when they got their belongings out the police locked the gates leaving them in the street, urging everyone to go to a shelter 40 minutes from border called El Barretal. Barretal is an old nightclub complex that feels like a ghost town and many describe as “like a prison”. 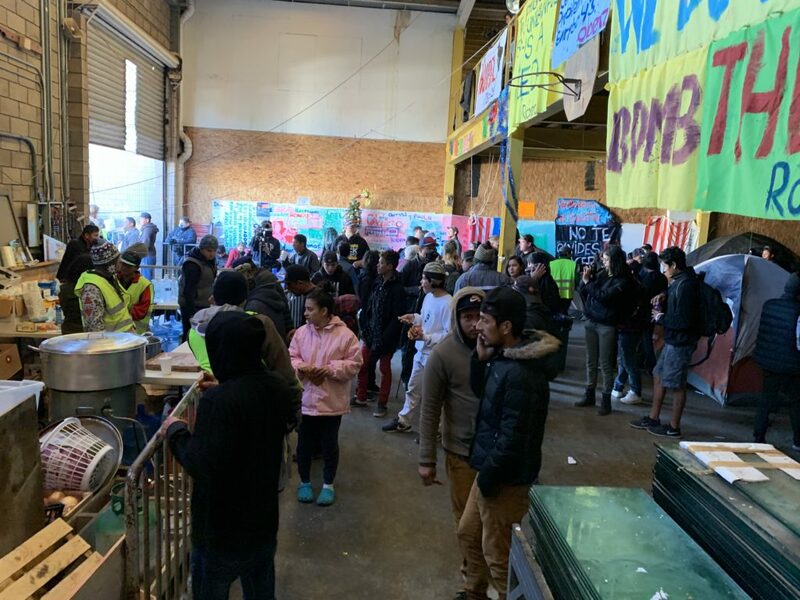 Big NGO’s and Non-profits who have taken up residence there are apparently invested in slowing the processing of asylum seekers at the border to a metered crawl. 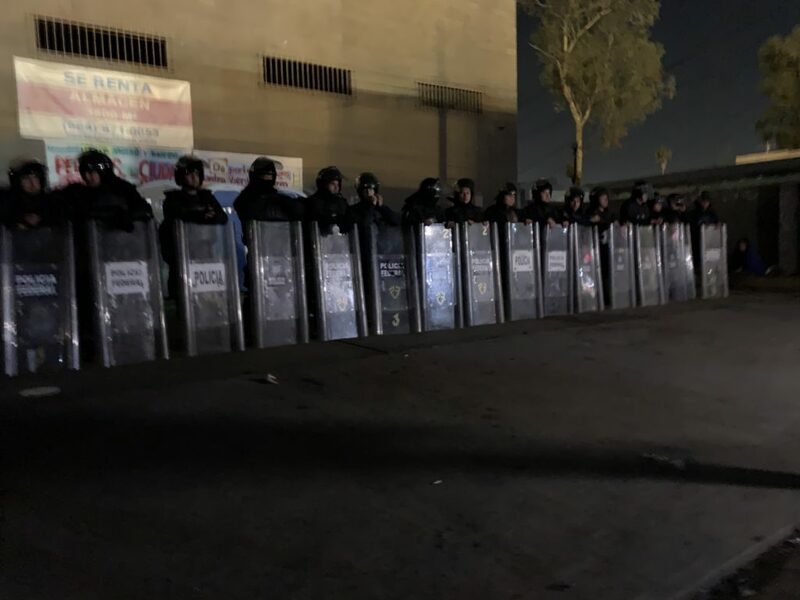 Over 700 people were still camping in the street outside the Benito Juarez Center a month when they were descended upon by a diversity of local predators as the cops looked on. No water or bathrooms, food and basic necessities supplied by donations, that police sometimes blocked. Women, some pregnant, infants, children, boys, girls and men struggled to protect themselves. 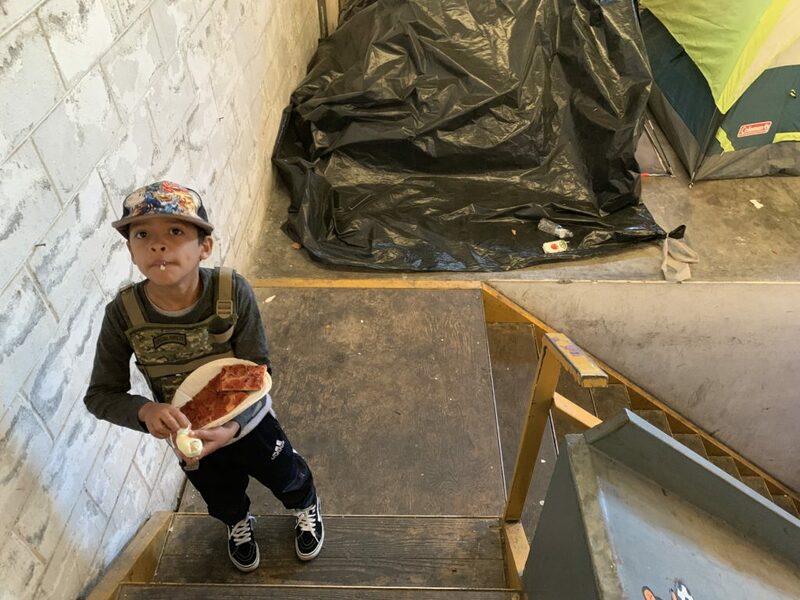 Then, about a month ago, a Mexican senator and others paid the rent on an abandon factory just down the block from the Benito Juarez Center street camp. A local church administrated, but that didn’t resonate so well with the people from the caravan people. Pressure from police to relocate to the Barretal shelter has been constant. 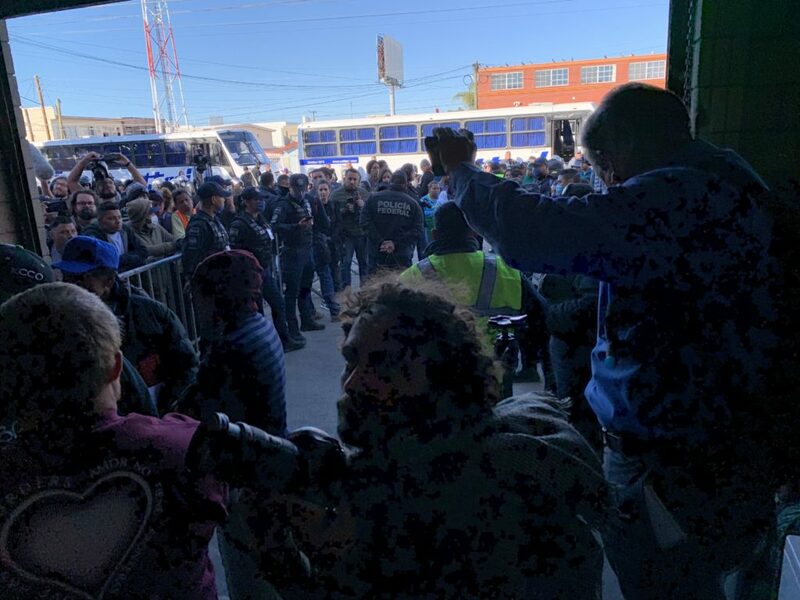 Each subsequent eviction motivates a small group to go to Barretal; others are motivated to cross the border while some people are now sleeping on the street in Tijuana as the current eviction plays out. Ultimately all are still in a holding pattern as they navigate uncertain futures at the border. The options are limited. Some are already working in Mexico, others have left, but most are just waiting. 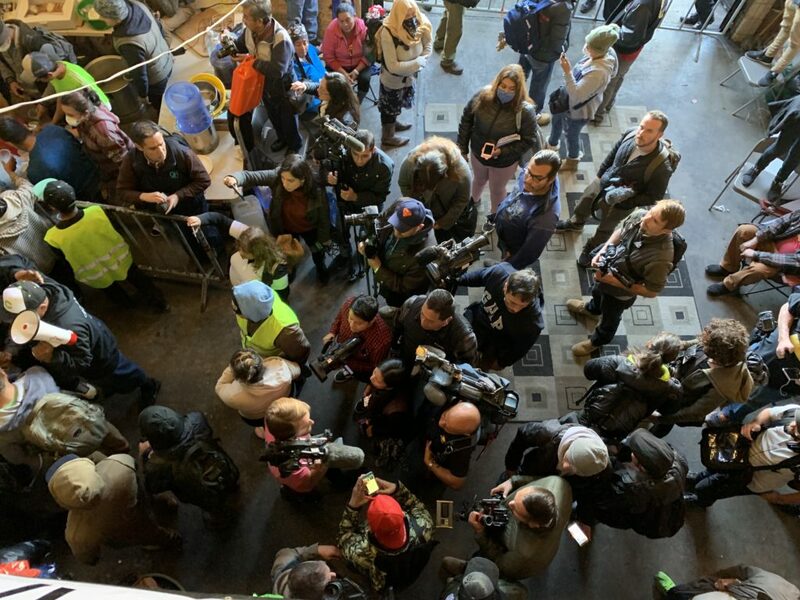 Supporters / allies from the US have shown up, some holding space inside the factory for the last three days as federal police in riot gear close the parameter and wait it out. Yesterday police suggested that the Americans raise money and find a new shelter. For now, a slow motion stand-off is in effect. 150 people inside includes Americans, no back door, cops are out front with a barricade in place. The rules have been stated; if you come out, you can’t go back in.